WELCOME to our first quarterly newsletter of 2019, keeping you up-to-date on our migration activities, events, and publications at UNU-MERIT and its School of Governance. 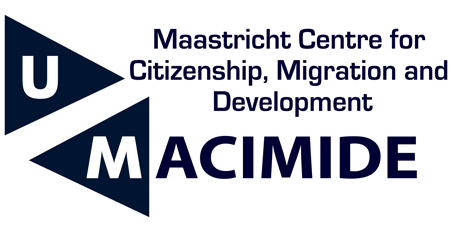 The Maastricht Centre for Citizenship, Migration and Development (MACIMIDE) is the interdisciplinary research platform of Maastricht University that brings together scholars working in the fields of migration, mobility, citizenship, development and family life. Recently, an updated version of the MACIMIDE Global Expatriate Dual Citizenship Dataset has been published, extending the dataset to 2018. The MACIMIDE Global Expatriate Dual Citizenship Dataset charts the rules that existed in nearly all states of the world since 1960 with regard to the loss or renunciation of citizenship after a citizen of a respective state voluntarily acquires the citizenship of another state. More information about the dataset can be found on the MACIMIDE website. 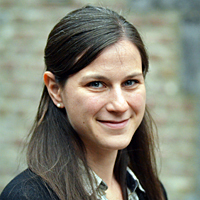 Dr. Katie Kuschminder will be a team member in the ‘Memorials to people who have died and to those missing during migration: a global project’ led by Ann Singleton (University of Bristol) and funded by the Worldwide Universities Network (WUN) Research Development Fund. This project brings together several WUN and non-WUN partners to fund initial stages in the creation of a research platform to support the establishment of a global network of internationally recognised memorials to the many hundreds of thousands of people who have gone missing or died during their migration journeys. Maastricht University is one of the 23 universities that comprise WUN with its President, Prof. Dr. Martin Paul, being the current chairman of WUN’s Partnership Board. A team of researchers at UNU-MERIT and its School of Governance has been mandated by Transparency International (TI) to conduct a study on female politicians’ engagement in the fight against corruption. The overarching aim of this project is to generate evidence to promote female politicians’ leadership in transparency and anti-corruption policies. Within the framework of SDG 16 (Sustainable Governance) and SDG 5 (Gender Equality), TI is committed to mainstream gender in its fight against corruption. Led by Dr. Ortrun Merkle, the team was asked to develop and test a methodology that can later be applied locally by each national chapter of Transparency International. The regional focus of this pilot project is Latin America; Argentina and Mexico were selected as the two pilot countries. Researcher Clara Alberola conducted fieldwork in Argentina in coordination with the civil society organisation Poder Ciudadano. 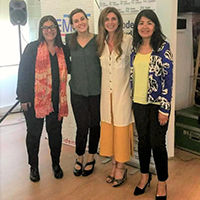 PhD fellow Charlotte Mueller and research intern Sandra Arellano conducted fieldwork in Mexico with the support of the civil society organisation Transparencia Mexicana. TI aims to present the results of this pilot study during an event on International Women’s Day on 8 March 2019. A team of researchers from UNU-MERIT and its School of Governance were recently commissioned by the Deutsche Gesellschaft für Internationale Zusammenarbeit (GIZ) GmbH to quantitatively and qualitatively analyse the Pakistani diaspora in Germany. The project recognises that diasporas are heterogeneous and complex, as they consist of various groups with different interests and agendas (whether formally organised or not). Conducted by Dr. Biljana Meshkovska, research officer Katharina Koch, and research assistant Nasrat Sayed, the project aims to provide a comprehensive overview of Pakistani migrant organisations and associations based in Germany. Moreover, the profiles, characteristics, and activities of these initiatives as well as their development potential will be analysed. 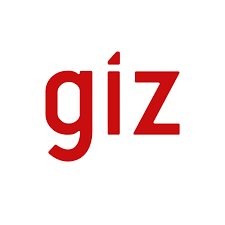 The study will contribute to GIZ’s Programme Migration for Development, which focuses on how to best support development-oriented forms of return migration and promote the capacity of migrants in Germany to engage in knowledge transfer to their origin countries. On 14 and 15 February 2019, Dr. Katie Kuschminder and Prof. Melissa Siegel will participate in the internal kick-off meeting of the H2020 project ‘Advancing Alternative Migration Governance’ (ADMIGOV) in Amsterdam. UNU-MERIT and its School of Governance are contributing to this project as part of a consortium led by the University of Amsterdam. ADMIGOV aims to develop alternative forms of migration policy that are optimally aligned with key principles of policies and consequently contribute to a future-proof migration policy. 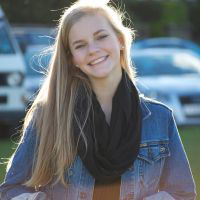 Dr. Kuschminder will lead a work package on migration and development and participate in a work package on exit. 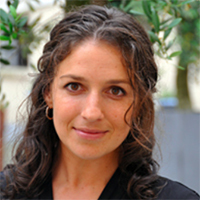 Prof. Siegel will participate in a work package on developing indicators for migration governance. In conjunction with the Maastricht Centre for Citizenship, Migration and Development (MACIMIDE), the Migration and Development research group at UNU-MERIT and its School of Governance organises a series of migration-related seminars to provide a platform to discuss the research output of researchers at the institute and to invite external speakers to share their work. The next migration seminars will be held by Prof. Arjen Leerkes (UNU-MERIT/Erasmus University Rotterdam) and PhD fellow Marloes de Hoon (Maastricht University, Faculty of Arts and Social Sciences), Prof. Maarten Vink from Maastricht University’s Faculty of Arts and Social Sciences and Richard Sondeijker (IND/Maastricht University, Faculty of Law). To join our mailing list and receive invitations to future seminars, or to express interest in delivering a seminar, please email Charlotte Mueller. At the end of 2018, three members of the Migration and Development research group at UNU-MERIT and its School of Governance successfully defended their PhD theses. First, Dr. Biljana Meshkovska defended her dissertation ‘Life after trafficking: (re) integration processes of women that have been trafficked for the purpose of sexual exploitation in Europe’ on 22 November 2018. 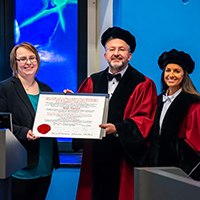 On 5 December 2018, Dr. Ortrun Merkle defended her dissertation ‘The myth of gender neutral power: corruption and gender norms’. 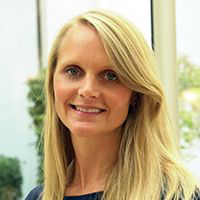 Finally, Dr. Katrin Marchand defended her dissertation ‘Essays on Forced Migration and Labour Market Participation in Developing Countries’ on 13 December 2018. On 4-5 December 2018, the Iraqi Government organised the second drafting workshop for a ‘Policy on Engagement with Iraqis Abroad’ in Baghdad. The purpose of the second drafting workshop was to support the Iraqi government in drafting a ‘Policy on Engagement with Iraqis Abroad’ (diaspora engagement policy) to be finalised after the event. Prof. Melissa Siegel travelled to Iraq to deliver a presentation on all four pillars of the policy: 1) institutional and leadership development, 2) human capital support and investment, 3) financial mobilisation and investment, and 4) state stewardship. The workshop was facilitated by the International Centre for Migration Policy Development (ICMPD) through the Silk Routes Facility which aims at improving migration management in the Silk Routes countries Afghanistan, Iraq and Pakistan in line with the Istanbul Ministerial Declaration on establishing A Silk Routes Partnership for Migration. On 3 December 2018, the Centre for European Policy Studies (CEPS) organised a conference on the role of aid and labour migration in EU-Africa migration in Brussels. The event was organised in collaboration with the Mercator Dialogue on Asylum and Migration and aimed at searching for policy solutions to reduce incentives for irregular migration. Dr. Lisa Andersson participated as a panellist during the discussion on the role of long-term development aid in shaping incentives for migration. The debate was centred around the role that aid can play to enhance EU-Africa relations, what balance can be struck between humanitarian and development aid and which public services are essential towards a country’s development and people’s will to stay. Other panellists included representatives from the Kiel Institute for the World Economy, the Danish Refugee Council, the Intergovernmental Authority on Development (IGAD) and the European Commission. A second panel discussion focused on what role pathways for labour migration can play in reducing incentives for irregular crossing. 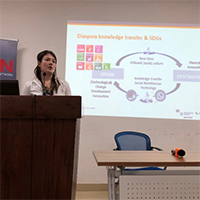 On 29-30 November 2018, PhD fellow Charlotte Mueller participated as UM delegate in the annual research impact workshop ‘Implementing the SDGs in East Africa: Translating collaborative research into policy impact’ which took place at the University of Nairobi, Kenya. The workshop was organised by the Global Africa Group (GAG) which is one of the two global groups within the World Universities Network (WUN). Using a regional approach, the workshop examined the role of collaborative research in achieving the SDGs and the ‘Agenda 2063: The Africa We Want’ in the East Africa region, and explored opportunities and challenges for research-policy linkages within this context. 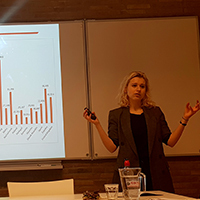 Charlotte gave a presentation titled ‘Diaspora knowledge transfer for development in East Africa: An exploratory study in Ethiopia and Somalia’. 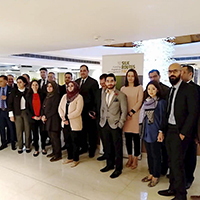 Researchers from different disciplines from seven of the 13 GAG member universities as well as regional practitioners participated in the workshop. For the 2018 period, UNU-MERIT and its School of Governance were commissioned by the Deutsche Gesellschaft für Internationale Zusammenarbeit GmbH (GIZ) to quantitatively and qualitatively analyse the Ecuadorian, Peruvian, Indian, Nepali, and Ukrainian diasporas in Germany. Members of the research team travelled to GIZ offices in Eschborn, Germany over the last two months to present the outcomes of the studies: Charlotte Mueller for the Ecuadorian and Peruvian diaspora studies on 15 October, Katharina Koch for the Indian and Nepali diaspora studies on 15 November, and Lika Sanikidze and Katharina Koch for the Ukrainian diaspora study on 3 December. Together, the studies contribute to GIZ’s Migration for Development Programme (PME), which focuses on promoting the capacity of migrants in Germany to engage in knowledge transfer to their origin countries. 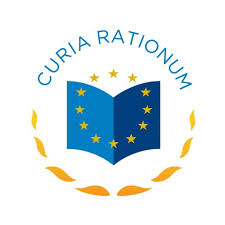 On 15 November 2018, Dr. Katie Kuschminder delivered a training workshop on migration to the European Court of Auditors in Luxembourg on behalf of the College of Europe. As migration funding has risen substantially in the European Union, there has been a large increase in the number of audits necessary on the European Union External Action on migration. This workshop consisted in four parts. It presented an overview of current flows, examined the dynamics and challenges of migration in the European Union, discussed issues related to border management and explored funding opportunities through the Asylum, Migration and Integration Fund (AMIF) and the Internal Security Fund (ISF). 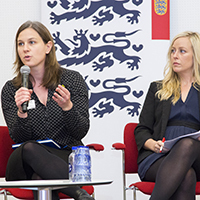 On 9 November 2018, Dr. Katie Kuschminder participated in a panel discussion on the drivers and aspirations of migration at the Danish Refugee Council (DRC) conference ‘People in Mixed Migration Flows: A Complex Reality’. Dr. Kuschminder’s intervention discussed mixed migrants’ journeys and the harrowing risks faced by migrants to reach Europe. The session examined several questions as to how to address the challenges migrants face during the journey and upon arrival in the destination country. 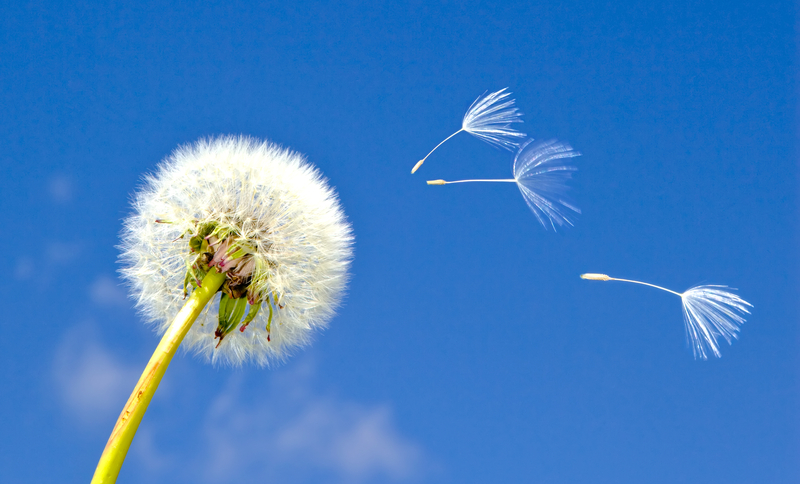 What role is there for global responsibility sharing in addressing challenges en route? And how can policy-makers enable conditions for individuals to make the choice to stay? The conference led to vivid exchanges regarding mixed migration issues and saw the launch of the first annual report of the Mixed Migration Centre as well as a new film on mixed migration. More information about the conference can be found here. On 7 November 2018, Prof. Melissa Siegel spoke before the House of Representatives of the Dutch Parliament in The Hague about forced migration and development. During an informal breakfast roundtable, Prof. Siegel briefed members of the Migration and Security Committees on trends and future scenarios of forced migration worldwide and in the Netherlands, and discussed implications for development and various ways to help migrants and refugees to integrate into (Dutch) society. Subsequently, she briefed representatives of the Dutch Ministry of Foreign Affairs on the outcome of the morning discussions with members of Parliament. Prof. Siegel shared her experiences of the day in an interview, which can be found here. On 17-18 October 2018, the German Federal Ministry for Economic Cooperation and Development (BMZ) and the Federal Ministry of the Interior, Building and Community (BMI) hosted the ‘First European Dialogue on Return and Reintegration of Migrants’ in Berlin, Germany. The event brought together policymakers, practitioners, civil society, and academics from across Europe to discuss joint standards and guidelines on support to return and reintegration in third countries. Dr. Katie Kuschminder contributed to a session on current practices of post-return monitoring and how to measure sustainable reintegration through new emerging tools. PhD fellow Anna Knoll also participated in the event. More information about the expert workshop can be found here. In addition, GIZ has produced this short film on the event. On 16-19 September 2018, the International Centre for Migration Policy Development (ICMPD) organised a thematic and skills training as part of the JEMPAS (Support to the Mobility partnership between the European Union and the Hashemite Kingdom of Jordan) Project. 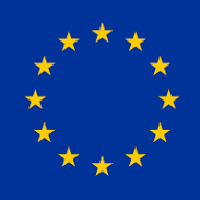 The EU-funded project developed by ICMPD aims to support the implementation of the Mobility Partnership between the European Union and Jordan with a specific focus on developing and implementing Jordan’s national migration policy. The training in September was designed for trainers and focused on engagement with Jordanian expatriates, which is one of JEMPAS’ key components. Prof. Melissa Siegel led two sessions during which she pointed out why it is important to reach out to expatriates and highlighted opportunities for expatriate engagement. 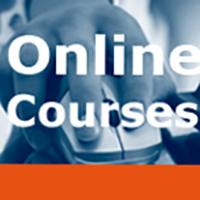 For those who are interested but do not have the time to take a full-time course in migration studies, UNU-MERIT and its School of Governance offer a number of specially designed online courses to suit the needs of busy professionals. 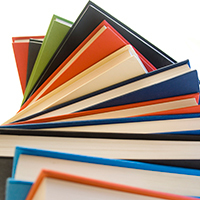 We currently offer three courses that can be started at any time: 1) Introduction to Migration Studies; 2) Migration and Remittance Effects and 3) Comparative Migration Policy. Watch introduction videos for the course on our YouTube channel (internal migration/ forced migration). For further information, please contact Dr. Katrin Marchand.